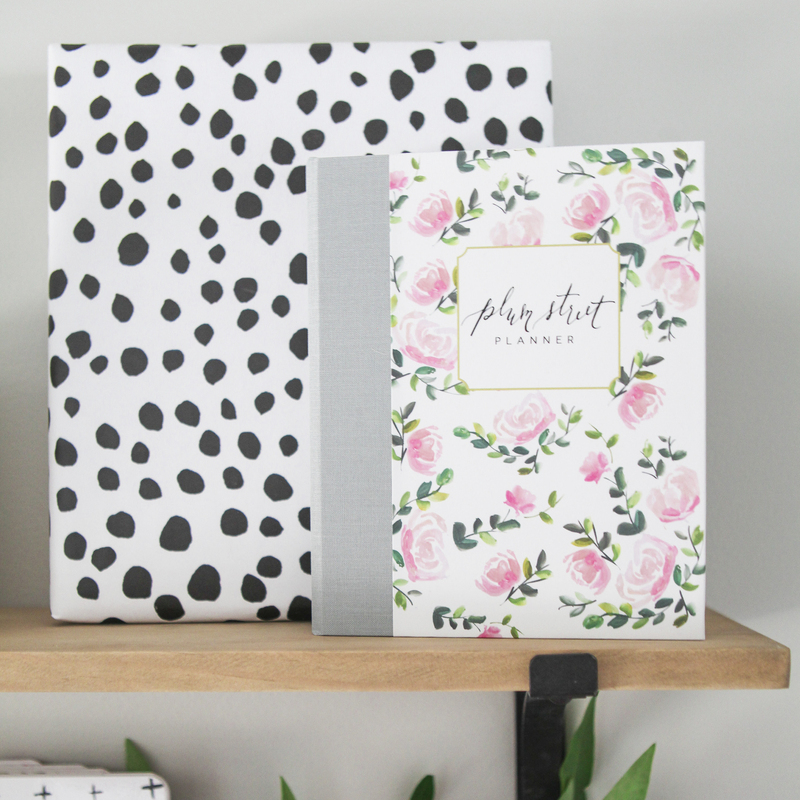 Our new line of 2017 planners is here! 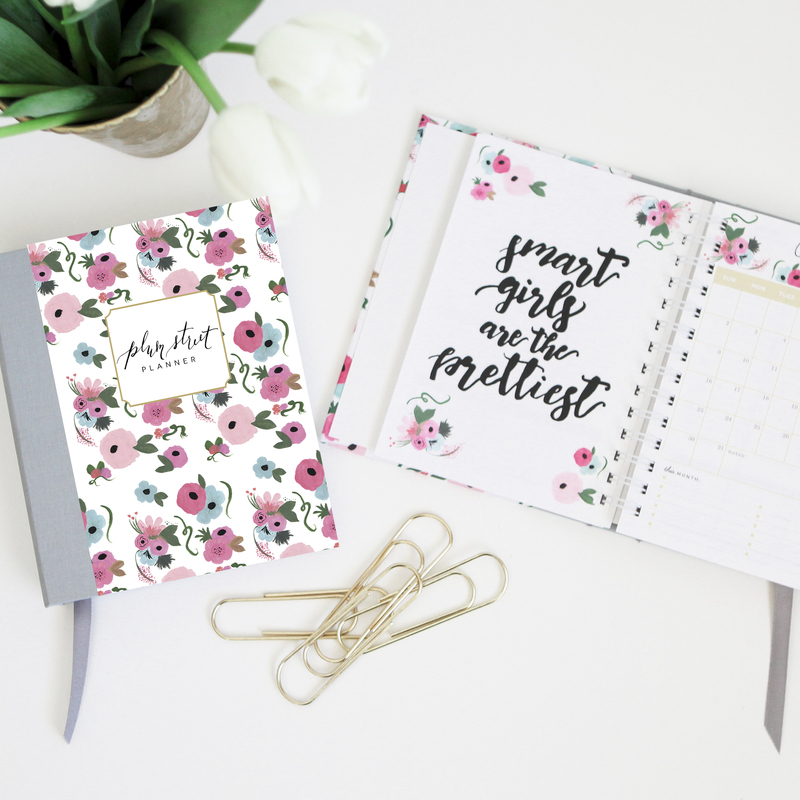 This Blooms Planner runs from JANUARY 2017 – DECEMBER 2017. 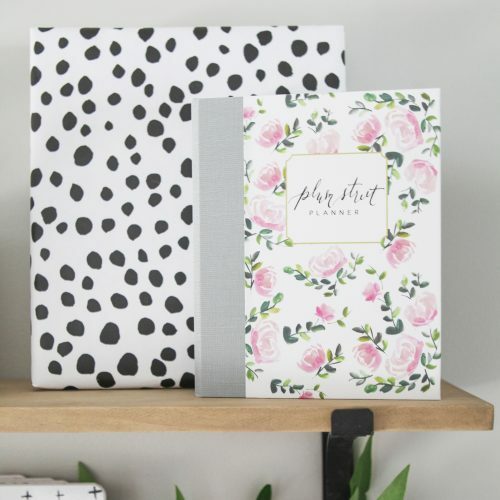 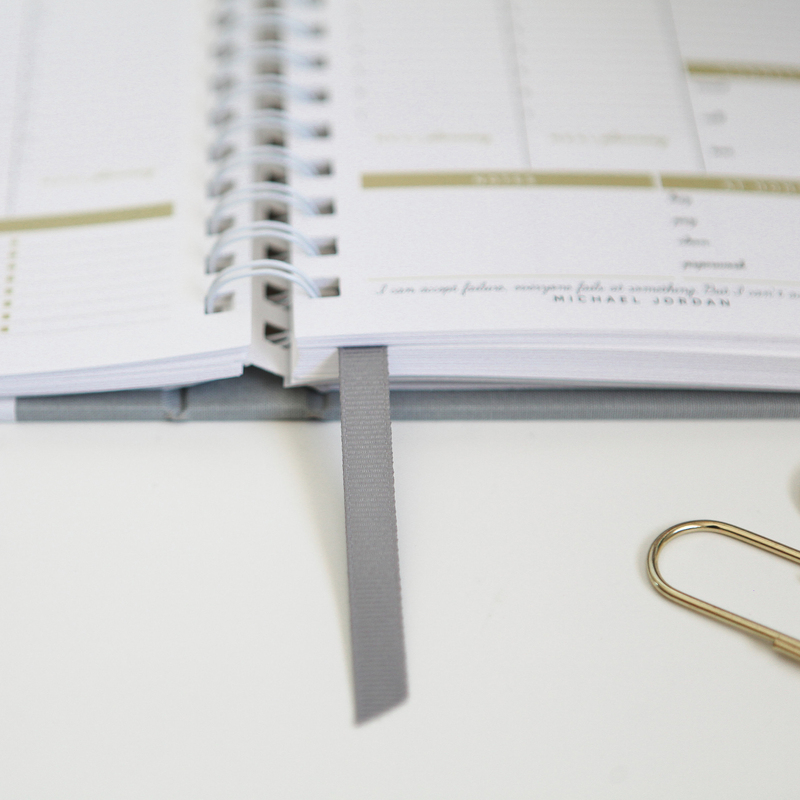 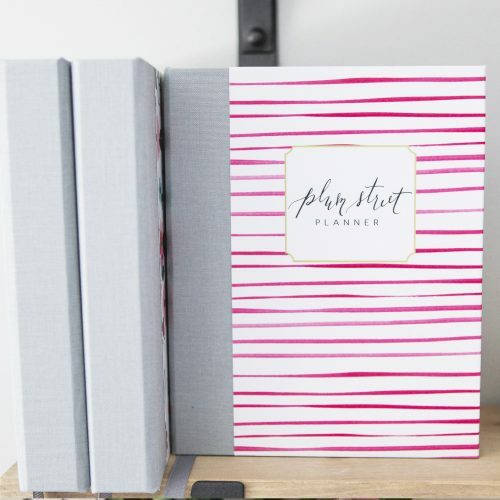 The Plum Street Planner is meant to keep your days and weeks organized while uplifting you with positive messages and thoughts. 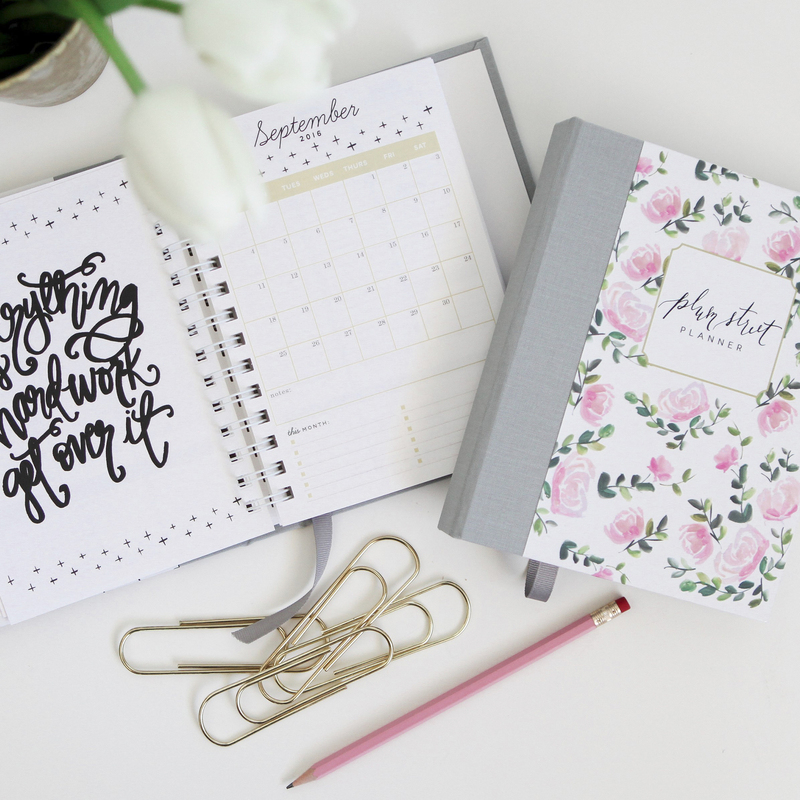 In each Plum Street Planner you will find uplifting quotes for the weeks, and hand-lettered thoughts for the month, while keeping you organized. 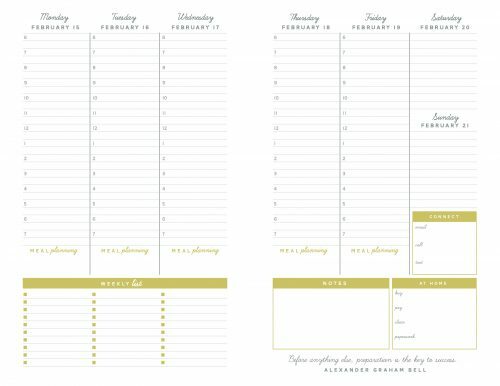 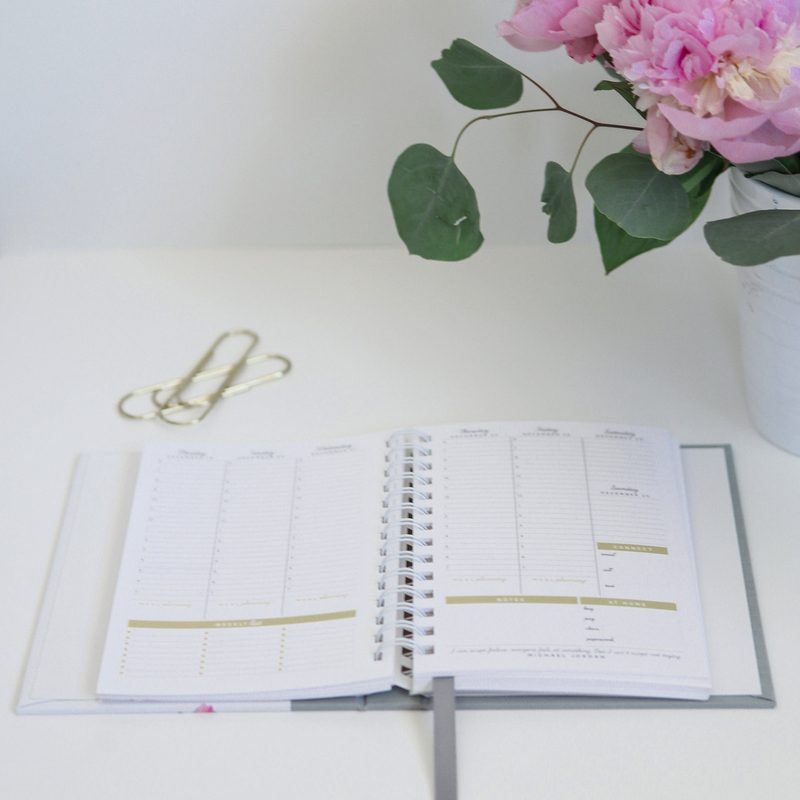 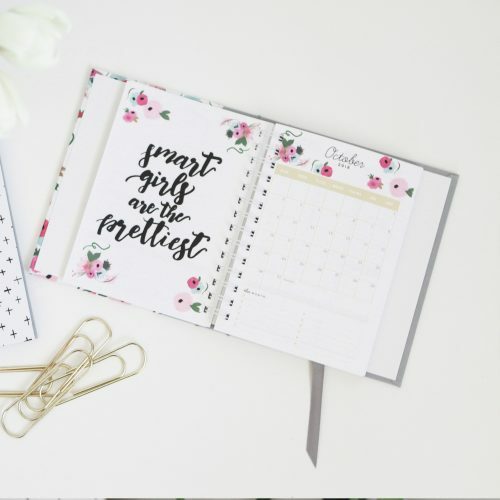 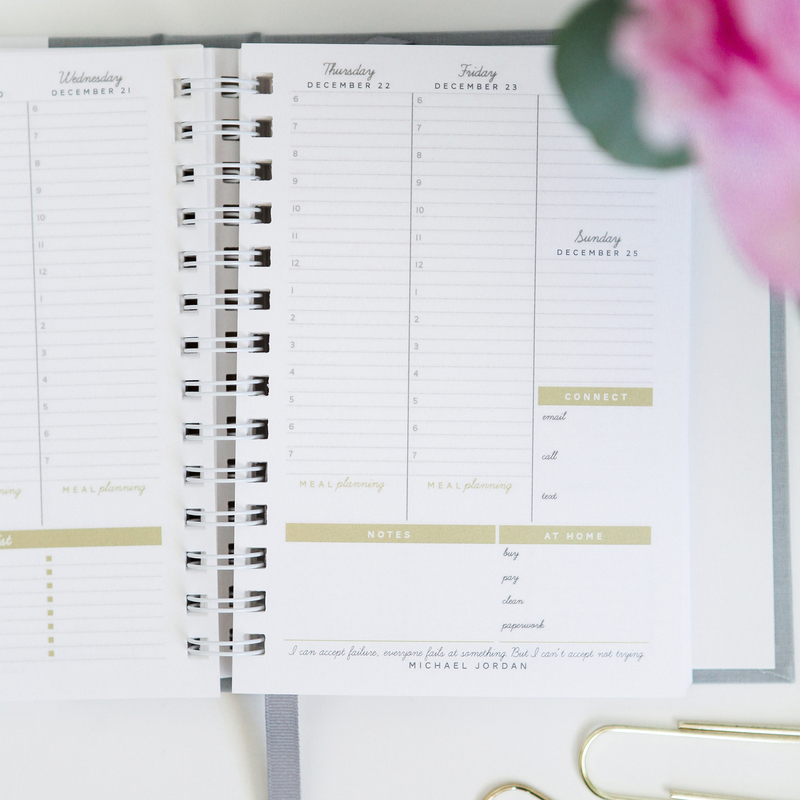 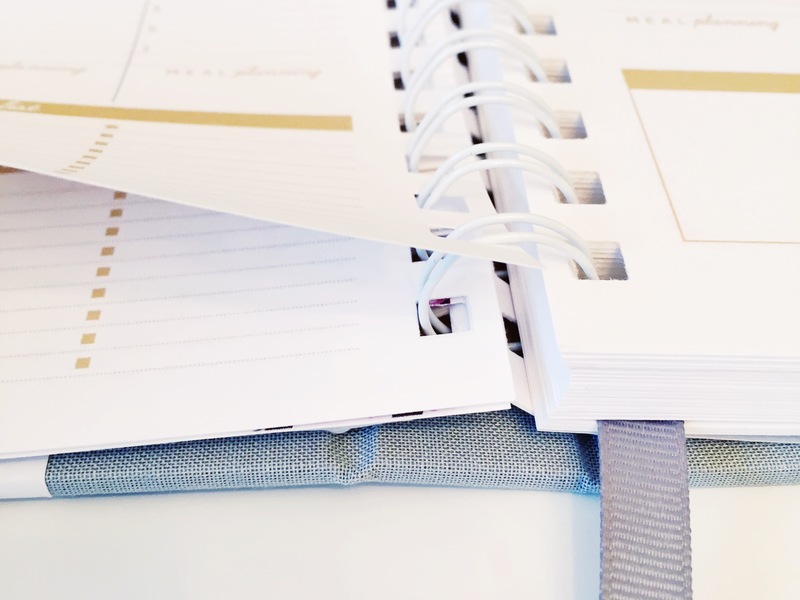 Each 2017 Blooms Planner shows your week on a 2-page spread with a vertical layout for each day (Saturday/Sunday combined into one column). 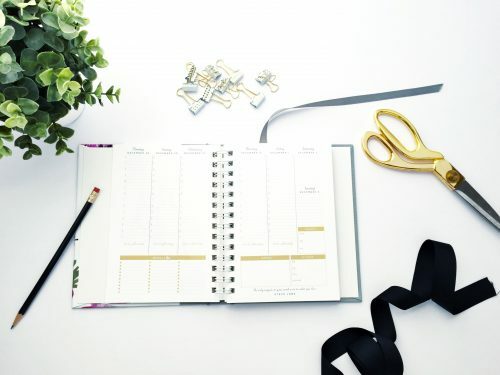 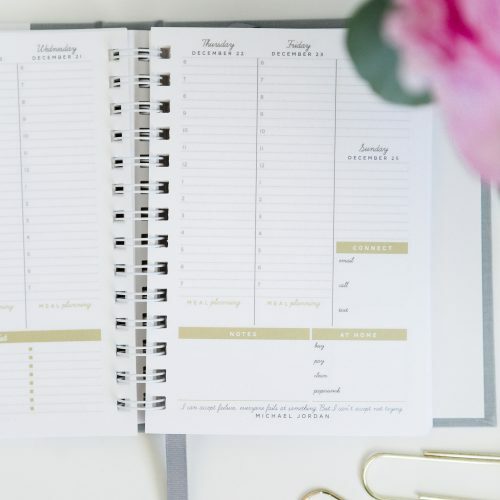 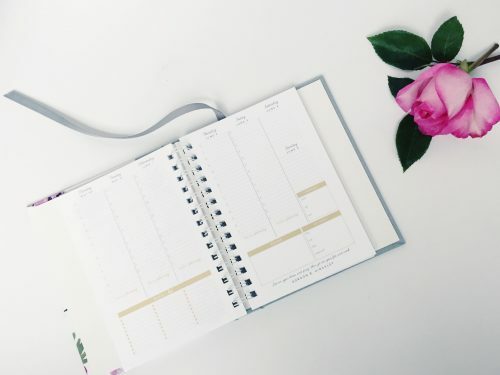 At the bottom there are spaces for meal planning, your weekly to-do list, connecting (call/text/email) as well as reminders what to clean and buy. 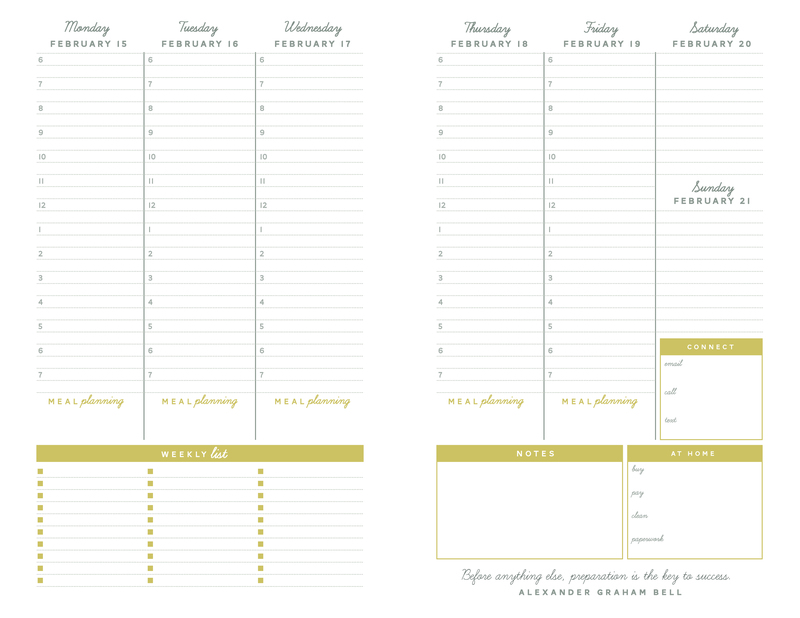 Before each month there is an overall month view as well. 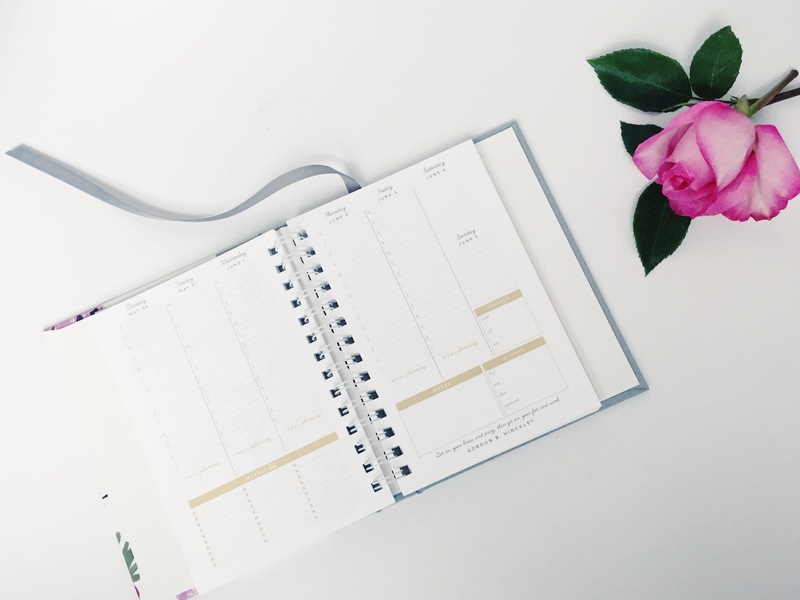 At the beginning you will find a list of 2017 holidays along with a 2017 goal planning page, and the year at a glance. 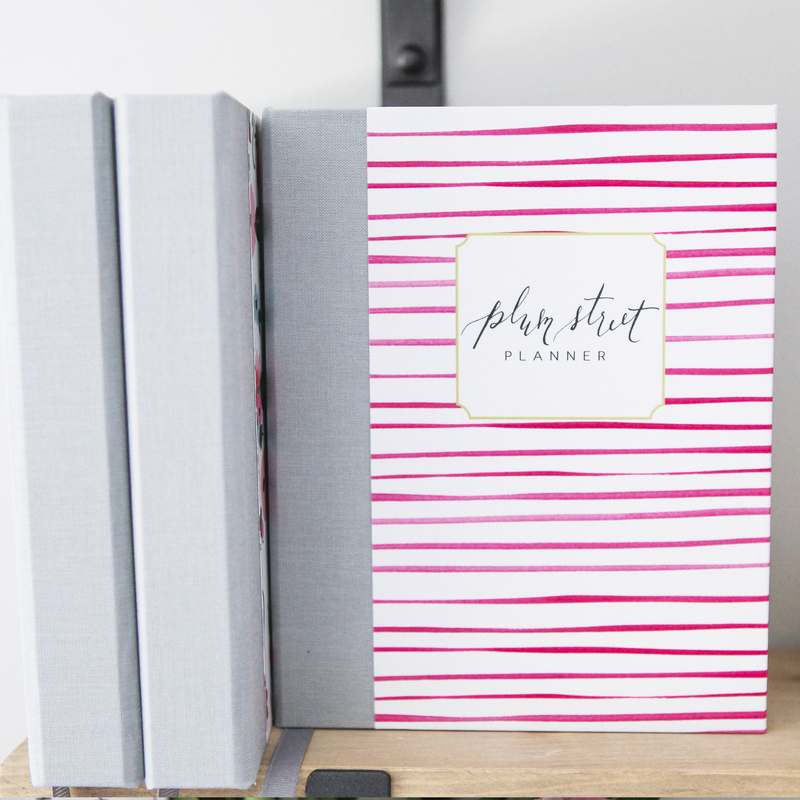 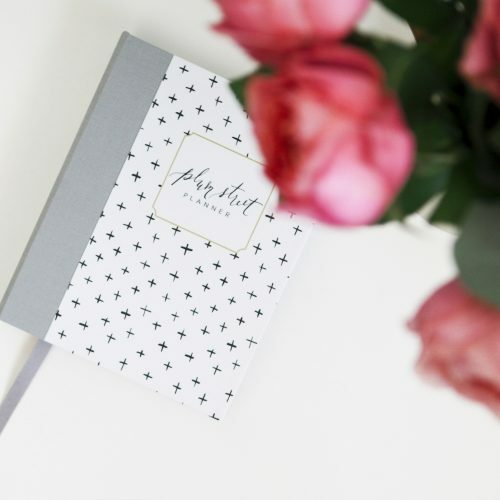 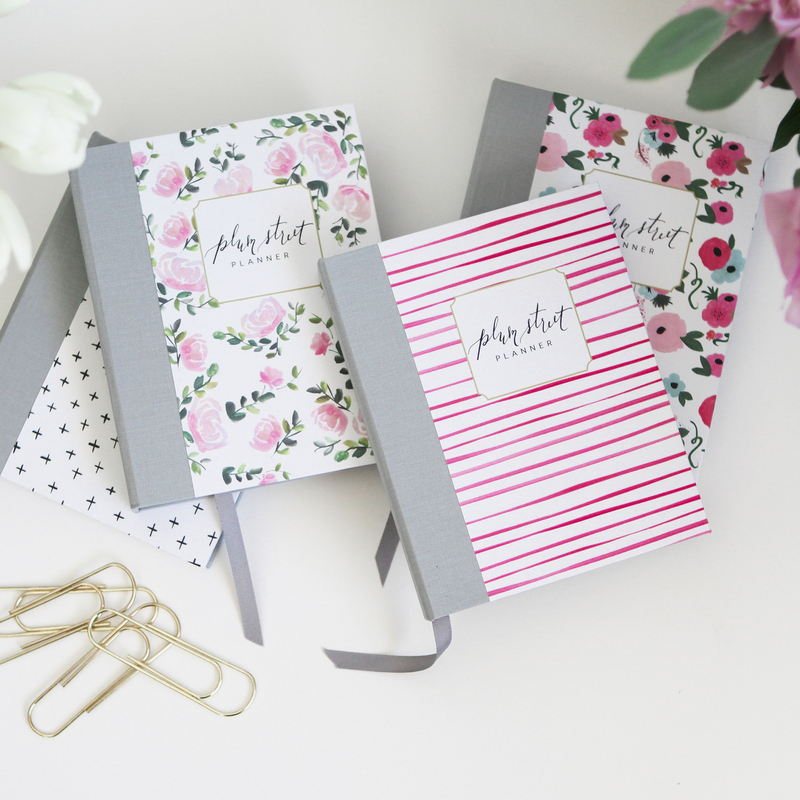 At the end you will find 2 pages of Travel Planners – my personal favorite – as well as Notes pages! 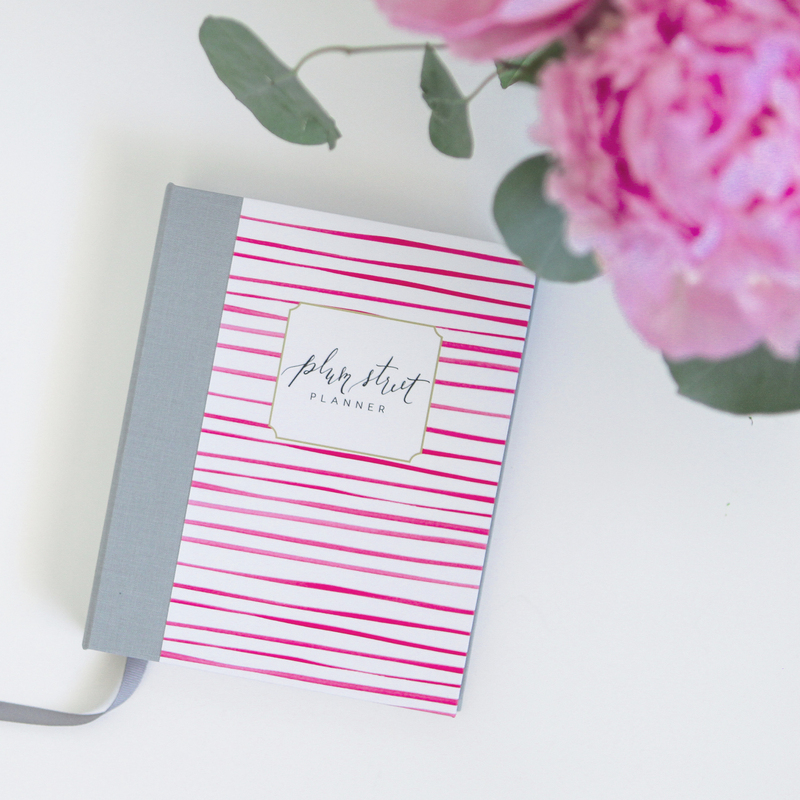 Space for packing lists, notes of activities, and what to eat and do.